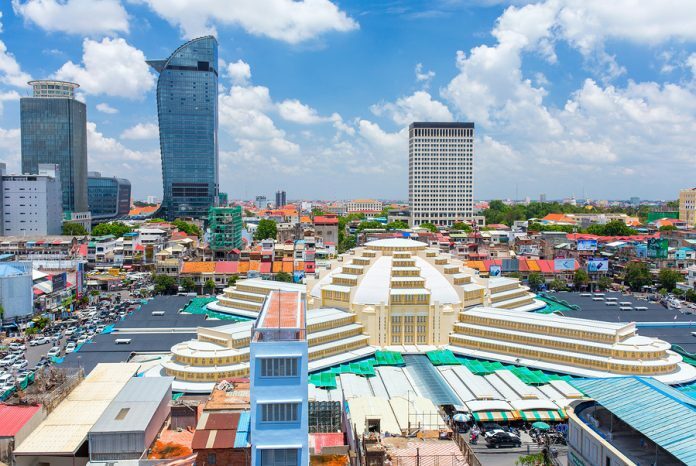 Cambodia is asserting itself as one of the fastest growing economies in Southeast Asia (AAXJ) (VPL) (IPAC). A sustained influx of real estate development projects led by both local and regional firms show the country’s property market is emerging as the preferred sector for investors looking to gain an initial foothold. Since its transition from a planned economy to a market-based economy in 1995, the nation has seen its growth rate multiply with inflation tapering downward. 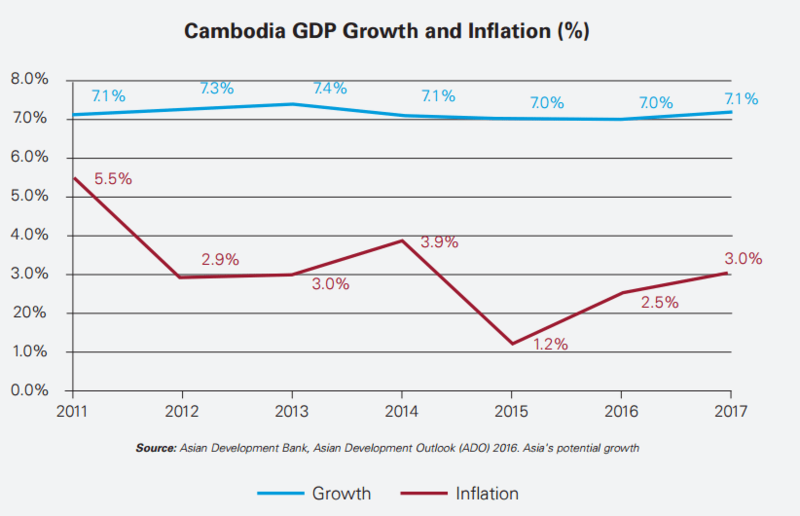 Cambodia has been growing consistently over 7% for over six years now — it’s neighbor, Thailand, is growing at less than half this rate. The country hasn’t seen a single year of recession in the last 20 years. Its climb has continued unabated past the Asian financial crisis of the 1990s, the early 2000s tech bubble, and the 2008 financial crisis; largely due to its low correlation with the global economy. Infrastructure, ports, and new roads are being built, and multinational firms are increasingly setting up their operations in this frontier market (FRN) (FM), lured by low taxes and business-friendliness. 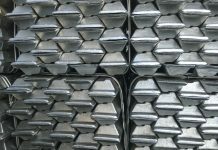 Manufacturing in Cambodia is generally less expensive than China (FXI) (YINN), courtesy the lower cost labor available in the country. China, on the other hand, continues to witness a rise in its general manufacturing wage levels. 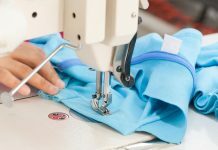 The economy’s two largest industries are textiles and tourism, while agricultural activities remain the main source of income for many Cambodians living in rural areas. The country is also making new strides in technology, while there is also speculation around off-shore oil and natural gas discoveries. Foreign investment in this high-growth nation has risen by 800% over the past decade. 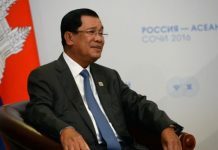 The next part of this series will look at the nature of this foreign investment in Cambodia. Previous articleChinese Loans To Bangladesh: Risk Of A Debt Trap?